Click here to see trip history and last reported location. 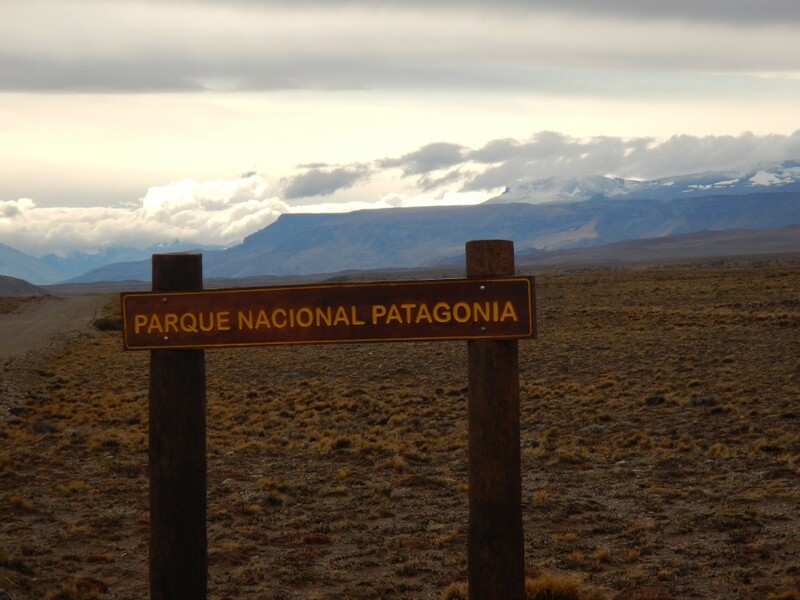 Now that I have reached the southernmost end of the road and as far south as you can drive in Argentinean Patagonia, I must reverse direction and retrace my steps in order to cross the Andes into Chile. The closest pass for vehicles, Paso Roballo, is 1600 kilometers northwest of Ushuaia. I will backtrack 1600 km to cross over the Andes to the Carretera Austral, Chile Route 7. Wednesday morning I depart Ushuaia headed north. First back to Rio Grande to fill my propane tanks and then across the Great Island of Tierra del Fuego and then back up route 40. The summit of Garibaldi Pass. This is the only pass across the Andes in Tierra del Fuego. Shortly after departing Ushuaia I cross 1476 ft. high Garibaldi Pass with its spectacular view of beautiful Lake Escondido and the 98 km wide Lake Fagnano. The view from Garibaldi Pass of Lago Escondido or Hidden Lake foreground and Lago Fagnano in the background. At the eastern end of Lake Fagnano is the picturesque town of Tolhuin, the only town on the 225 km between Ushuaia and Rio Grande. 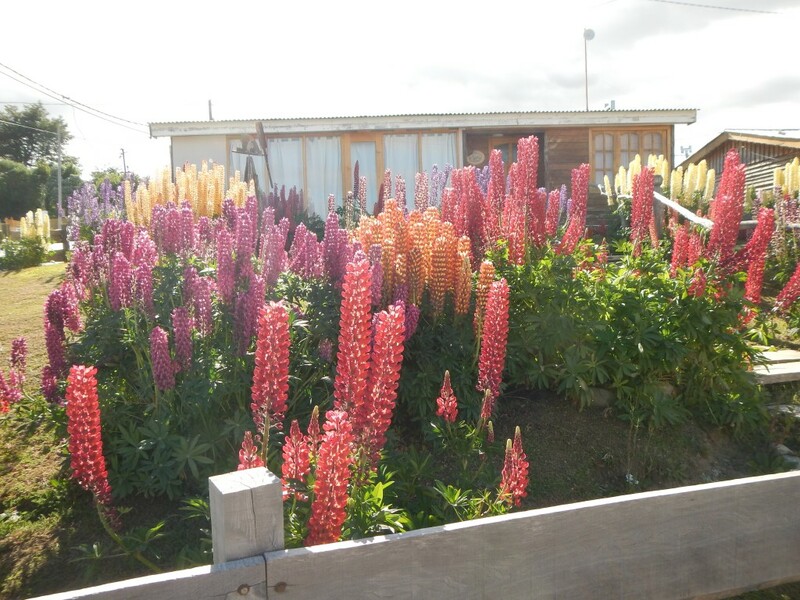 The colorful front yard of a home in Tolhuin. I arrive in Rio Grande and the “Gas Austral” propane company. You may recall I was told to come back after the long weekend and they would fill my tanks. A bureaucratic management type from the office came out and told me that it was not legal for them to fill foreign tanks. Ioverlander had reports that they have done it in the past and there is little or no difference with Argentinian tanks. I was not happy having waited 3 days to return, so I am back on the road. The Island of Tierra del Fuego is divided between Argentina and Chile by treaty. In order to access Argentine Tierra del Fuego you must go by sea or drive through Chile. Eighty kilometers north of Rio Grande at San Sebastian I arrive at the border. I clear customs out of Argentina and into Chile where I am on the worst road imaginable for approximately 80 km. It seems there is no love lost between the governments of Argentina and Chile, and when a road in Chile services only a destination in Argentina very little is expended in maintenance, much less paving. I did this road by motorcycle 8 years earlier and it is a character builder. 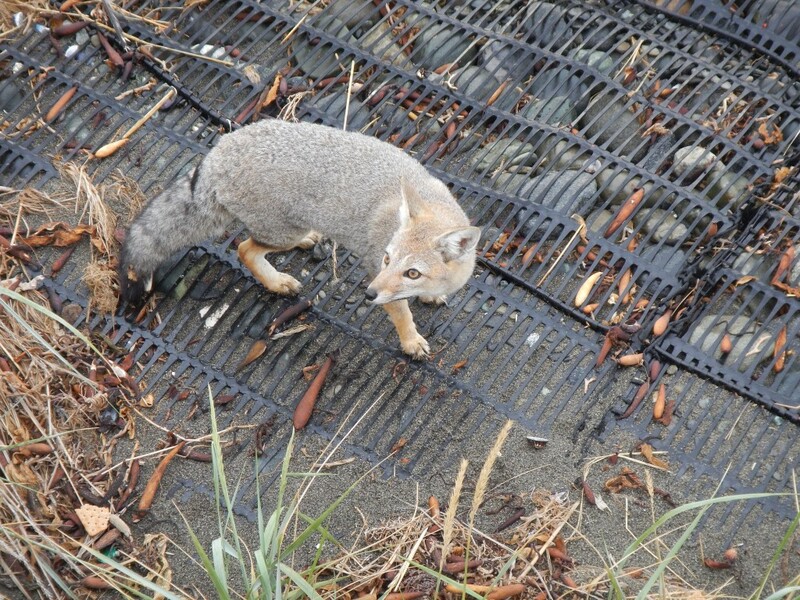 Patagonian Fox on the beach near the ferry ramp on Tierra del Fuego Island. 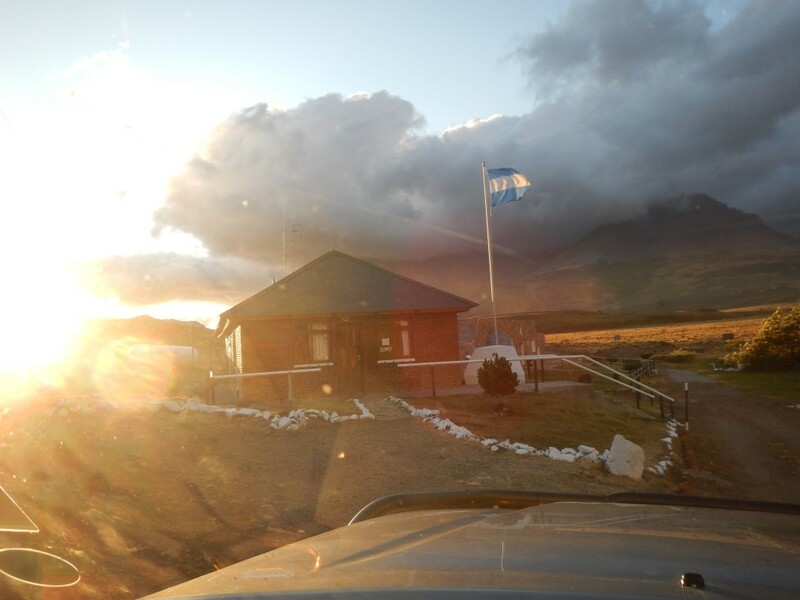 One hundred and fifty seven kilometers after crossing into Chile I arrive at the ferry ramp and after a short wait depart the Island of Tierra del Fuego for the 30 minute crossing to Punta Delgada on the mainland. 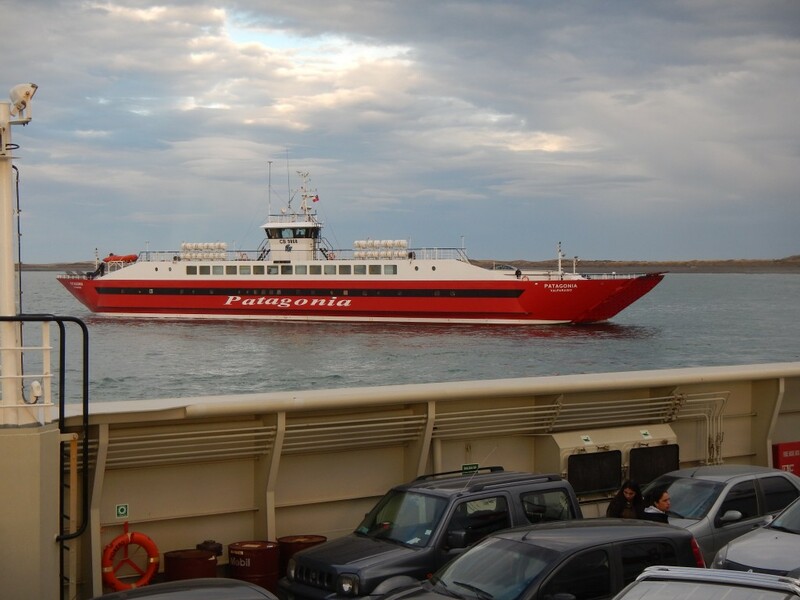 The ferry from Tierra del Fuego Isand to Punta Delgada on the mainland. Approximately an hour drive later I process outbound customs for Chile and inbound back into Argentina. It is nearly dark so I begin looking for an overnight campsite, having accomplished a lot today. Using the fabulous application on my phone Ioverlander, I find a great campsite just after dark. After a very long day, I spend an incredible night under the stars at Laguna Azul. It is beautiful, very quiet and free. Not another soul around except for a few guanaco. Laguna Azul is a lake in a volcanic crater and an Argentine geological reserve. Legend has it that it is inhabited by strange beings in its depths and others believe it is a source of great powers. I did sleep pretty well. Laguna Azul, a geological reserve in Argentina. 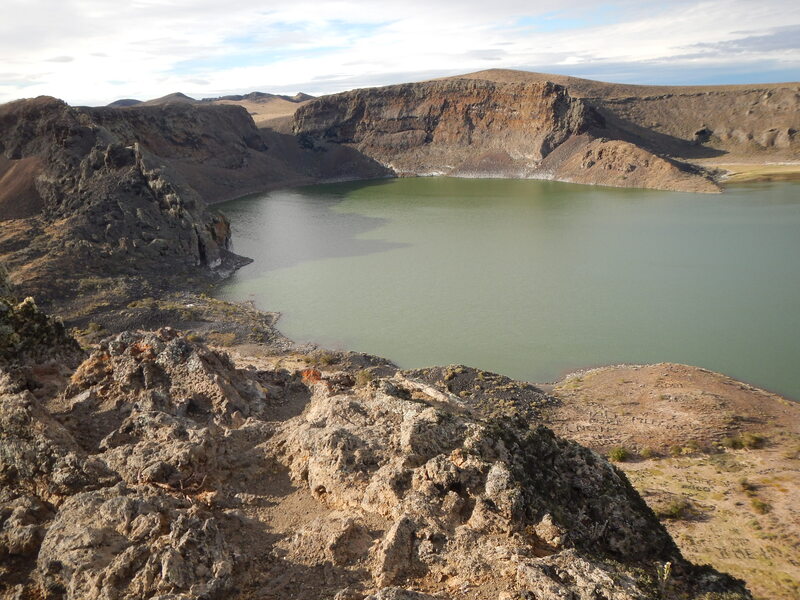 A lake in the crater of an extinct volcano. In the morning I drive the short distance into Rio Gallegos, a large town and the capital of the province. I air my tires back up to highway pressure, fill up on gasoline and get my propane tank filled. The fine folks at Surgas Rio Gallegos filled my propane tank, quick and hassle free. It cost forty four Argentine pesos ($3.00 USD) for 4 kilos, which I thought was very reasonable. I departed Rio Gallegos on route 5 headed 180 km back west toward the Andes to route 40, then north 550 km to the turnoff to Roballo Pass. I pass El Calafate and El Chalten without stopping having spent time there on the southbound journey. 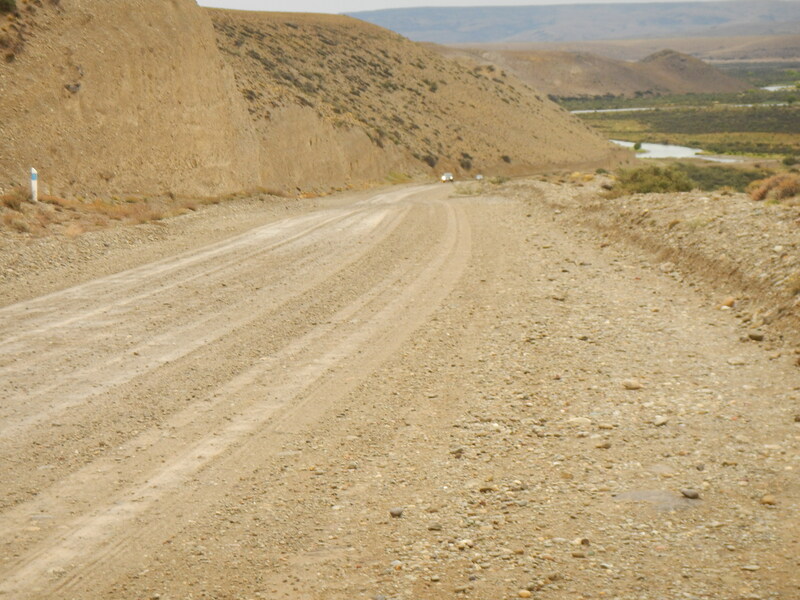 Most of this part of route 40 is paved except the 74 km between Tres Lagos and Gobernador Gregores. I drive through the day and only get lost once around Tres Lagos. In the late afternoon I arrive at the unpaved part of the road, so I stop and air down my tires again and press on. It is nearly dark and I pass the signs for “Estancia La Siberia” on the unpaved portion of Route 40. The sign says food, drink and accommodation so with visions of a cold beer I decide to stop for the night. The place is appropriately named being located completely in the middle of nowhere, along the unpaved route 40 and perched above Lake Cardiel. 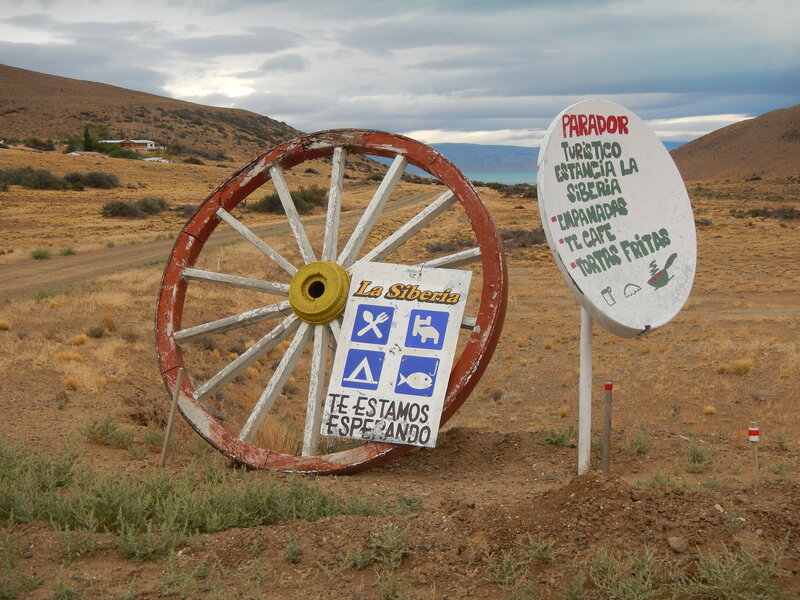 The sign advertising Estancia La Siberia along the unpaved route 40. I enter the access road and drive down to the Estancia. I knock on the door but no one answers. Only a shy dog, that does not bark but won’t come near, greet me. I finally give up the hope of a cold beer and plate of fries. With no electric lights the night is beautiful and I camp and have a very peaceful night. The seemingly deserted Estancia La Siberia. In the morning all I see is a horse, the dog and I hear a rooster. Looking at my tires I see the dog has visited and left his mark in the night. I never see another soul. This morning I finish the last 30 or so miles of unpaved road and a short drive later come to the town of Gobernador Gregores. When I had come south I had difficulty finding my way out of town to route 40 south. With the help of a policewoman, and some trial and error I finally figured it out. I see tourists that look lost and am flagged over by a group of motorcyclists asking for directions. I happen to know the secret, because I myself was lost for an hour on the way south. You must pull off of route 40 near a a pile of gravel (no signs), drive through a road under construction for a couple of hundred feet and then down a steep winding gravel road that descends a bluff to the river valley below. At the bottom you cross a rickety one lane bridge, enter a paved country lane, pass two schools and then come to the a junction with the main road into town. Eventually, route 40 will pass through the town but that part is still incomplete and not yet connected. You would think they would put up signs? The hidden access road to Gobernador Gregores. I enter Gobernador Gregores on an almost empty gas tank, needing gas and groceries. Since I have the long drive off road to cross Roballo Pass I want a full tank, water and supplies. I go shopping at “La Anonima”, the Argentine supermarket chain and load up. I then go to the YPF gas station to fill up on premium. I am told that due to a gas shortage I can only buy 20 liters, around 5 gallons. I plead with the attendant, telling him I plan to cross Paso Roballo and it is impossible without more. The attendant finally relents and agrees to pump 50 liters, around 13 gallons, but no more. Not what I wanted but better than 5 gallons, I will drive to the pass access cutoff and then calculate my range. If insufficient I must drive another 125 km out of my way to Perito Moreno which hopefully will have available gas. 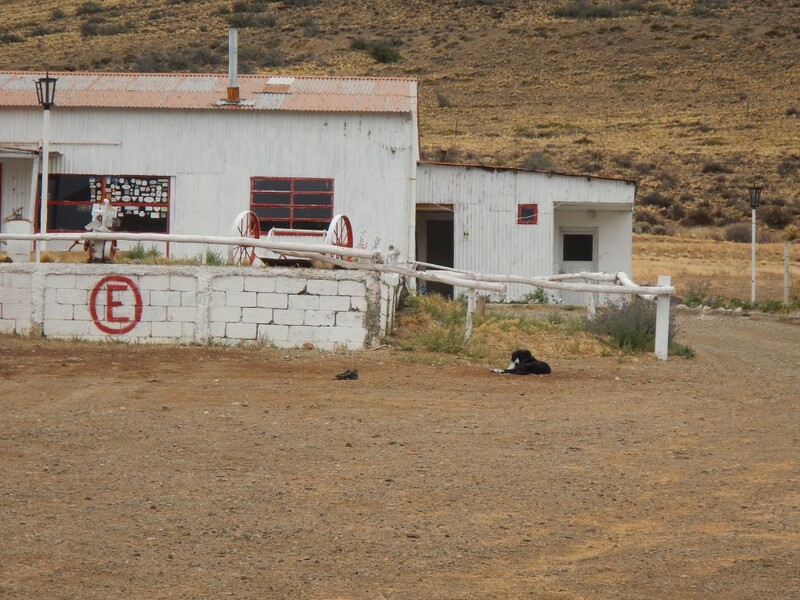 I still have a 240 km drive up Route 40 to the turnoff to Roballo Pass, just north of Bajo Caracoles. Bajo Caracoles, has an independent gas pump located at a hostel/café that was out of gas on my way south. I luck out this time and fill up the rest of the way with regular at a hefty price, which I was happy to pay. I am now only a few kilometers south of the turnoff to Roballo Pass and will enter it with a full tank of gas. 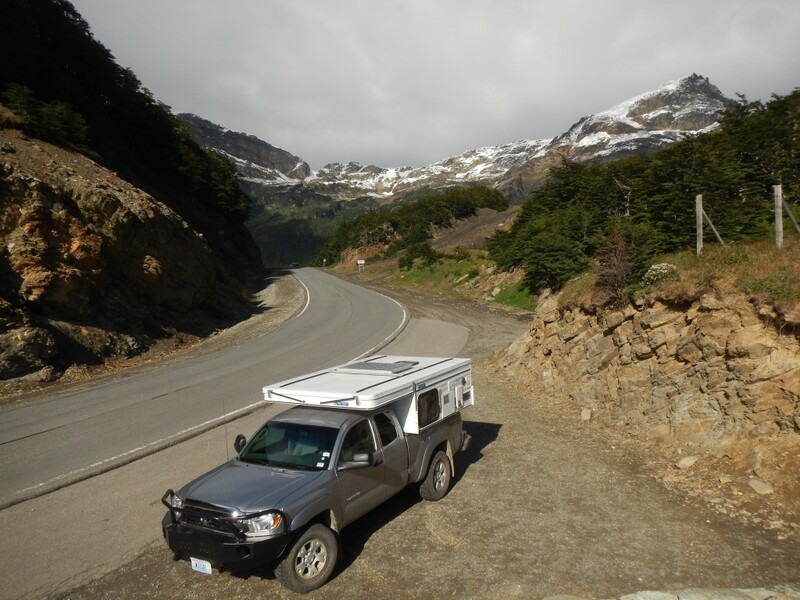 It is 162 kilometers on a little traveled dirt road across Roballo Pass from Argentine Route 40 to Chilean Route 7. I have almost arrived at the turnoff to the southernmost vehicle crossing into mainland Chile. 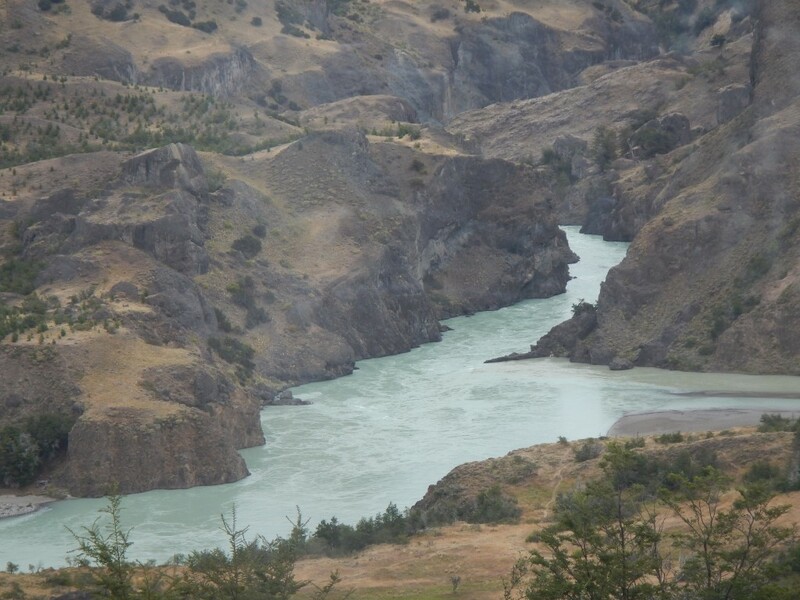 It will be 162 kilometers from leaving route 40 in Argentina to the junction with Chilean Route 7, the Carretera Austral. Driving the Carretera Austral is one of my major goals for this trip. I begin the crossing in late afternoon. Coming along a lake while crossing Paso Roballo. I read a report on the internet and spoke to a pair of women in a Land Rover who had used this route and neither had any problem. The internet report raved about all of the wildlife and the women reported it as a little bumpy but passable. An hour into the crossing a car came in the opposite direction. I stopped and rolled down my window and they stopped and we exchanged information about the road we had just travelled. It was a couple from Chile in a newer SUV. They reported that other than being bumpy there was no problem. 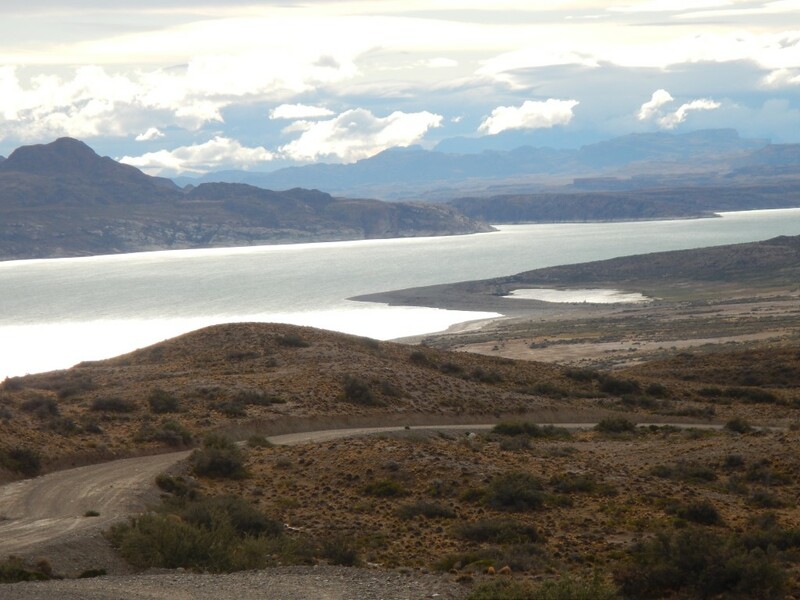 They had come over from the Carretera Austral in Chile and reported that it was smoother than this. Guanaco are very common in Patagonia. The scenery was pristine. 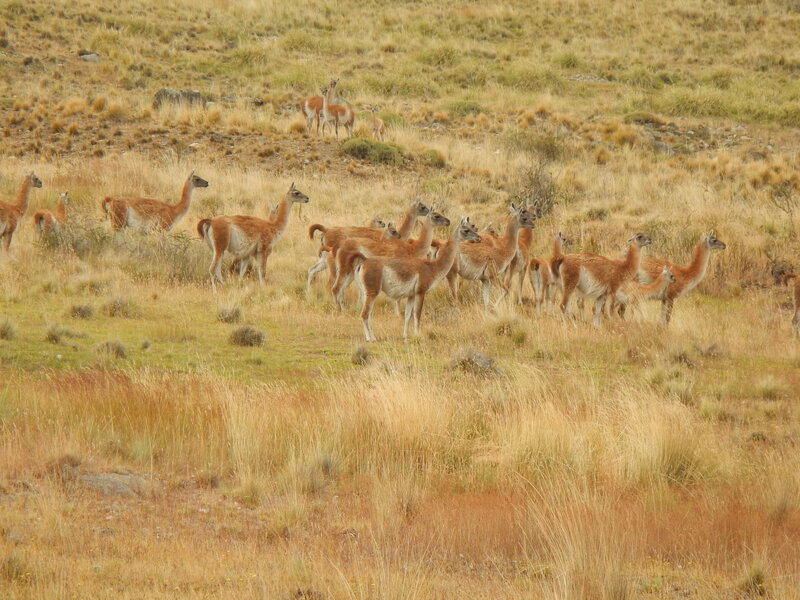 The usual guanaco and Rhea along with livestock as the road passed through a couple of large ranches. There were lots of birds. At one point I traversed a wetland prolific with strange ducks, geese and waterfowl. 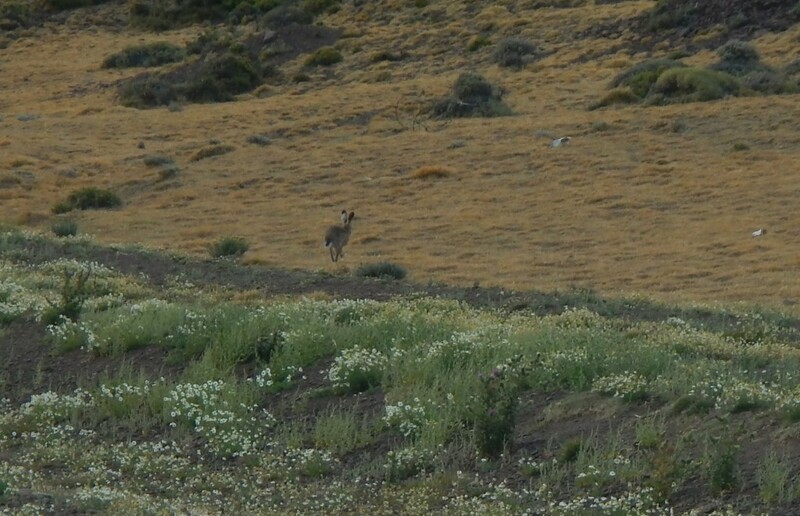 The Patagonian Hare also known as a Patagonian Mara proliferate and are very hard to photograph. I saw Patagonian foxes and hundreds of patagonian hares. These appear very large, especially when they hop, and it is very difficult to take their photo. They made me think of the mythic jackelope. I had to stop many times because they would flee but run straight down the center of the road and I was afraid I would run them to death or run over them. There were lakes, rivers and painted hills, and landscape that appeared extraterrestrial. 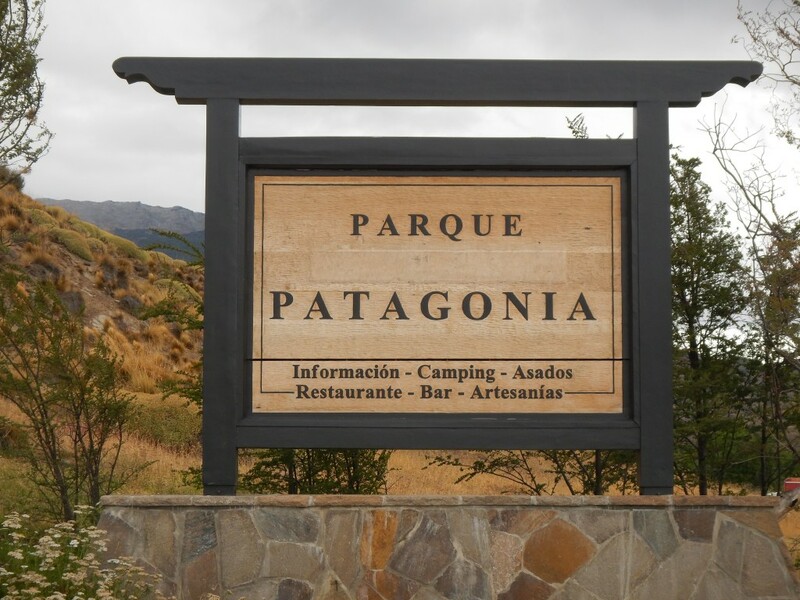 I passed through an area signed as Patagonia Park, which I believe is one of Douglas Tompkins preservation foundations. There is nothing around but the sign. 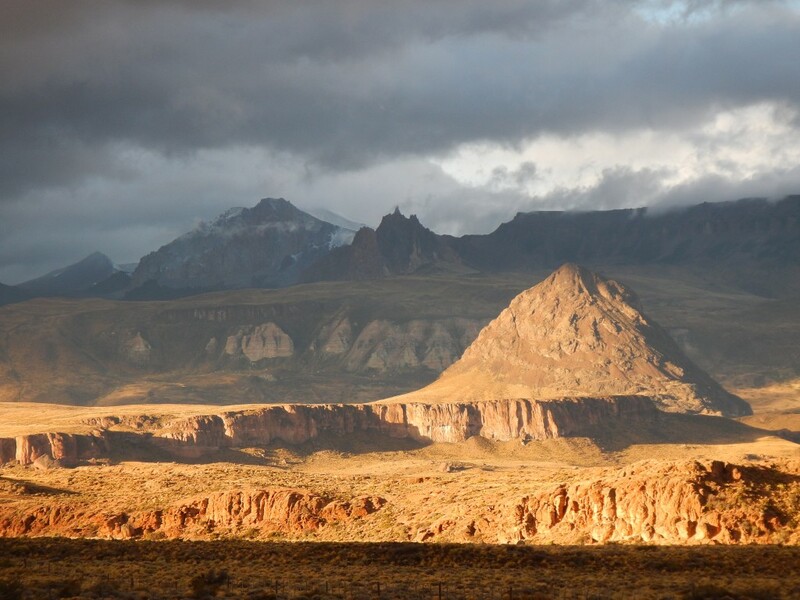 The Argentine side of Patagonia Park. When I reached the border with Chile it was 5 minutes to clear Argentina and 5 minutes to clear Chile. Argentina used a green ledger book to record the departure, Chile had a computer. Argentine Customs and Immigration office in Paso Roballo. It was almost dark so I consulted my Ioverlander app and found a place to camp. I made camp at an unfinished Patagonia Park facility. This was a Chilean park separate from the Argentine Patagonia Park that I had passed earlier, both are Douglas Tompkins foundation creations. 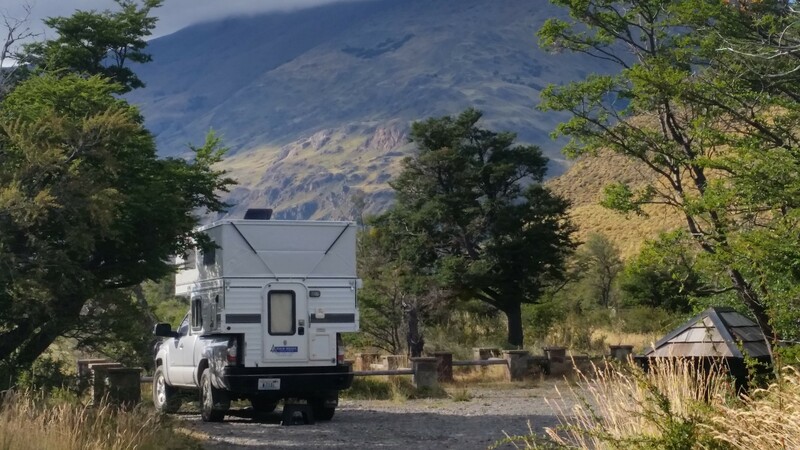 This is my campsite in the landscaped parking area for this campground in Chilean Patagonian Park. My camp was a flat landscaped parking area next to a very fancy footbridge over the Chacabuco River. On the far side of the bridge was a grass area for tent camping. There was a fancy stone building for restrooms on the other side of the bridge, but it was still unfinished on the inside. It was a quiet and very peaceful night. 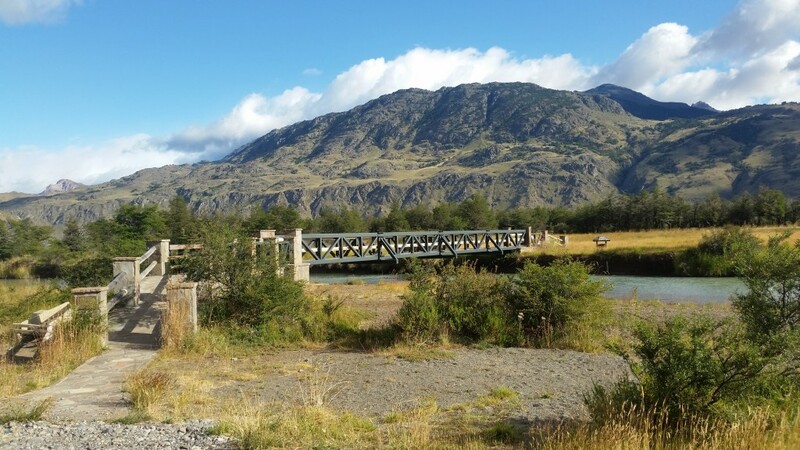 A footbridge crossed the Chacabuco River from my parking area to a tent camping area. There were unfinished rest rooms under construction on the far side. In the morning I was greeted by a very nice dog, who talked me out of a helping of leftover pasta, and who I considered adopting. I also met three Brazilian backpackers on foot who had spent the night across the bridge and were hiking in the park. I still had 37 km to go to reach the carretera austral. 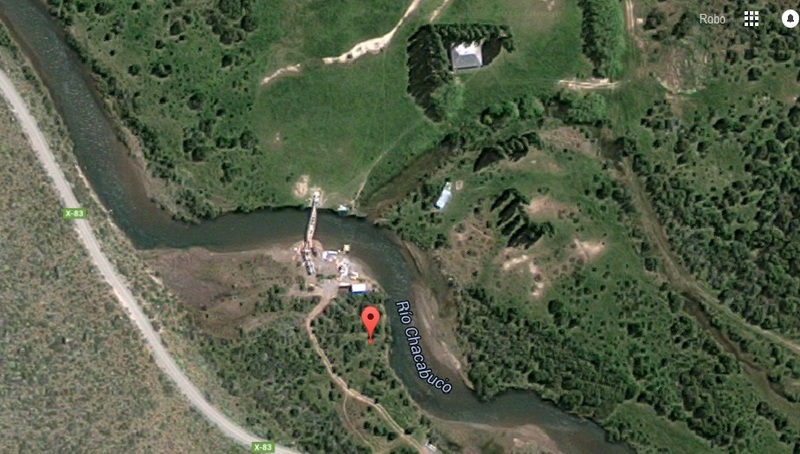 Here is the Google satellite image of my campsite. I departed and continued west. The road was narrow but good. I saw lots of wildlife. 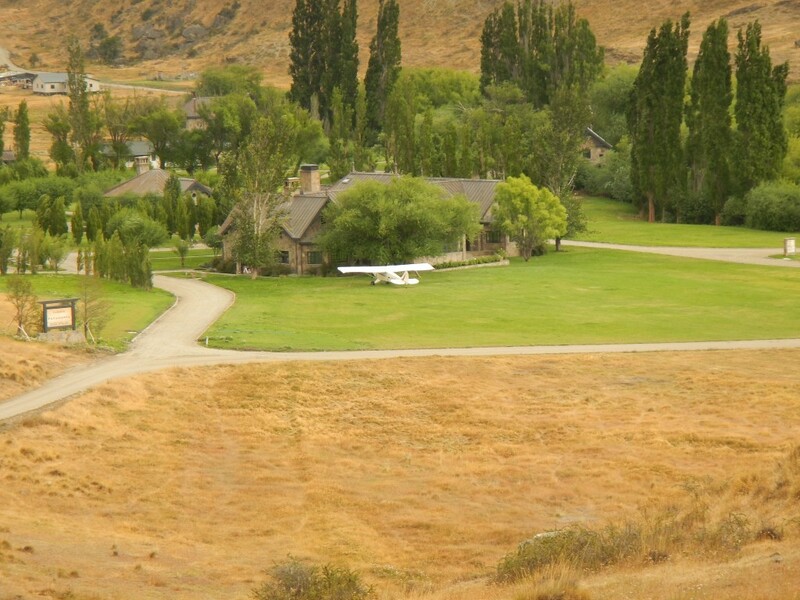 A short distance later I came upon a very fancy lodge, restaurant, airstrip and park administration building for Patagonia Park. This seemed very out of place in the middle of the wilderness. I entered the administration building looking for information. A very well dressed receptionist advised me that to come indoors I must remove my shoes. She told me that the park was part of a private foundation. When I asked about its connection to the park of the same name in Argentina she told me that that park was part of a separate foundation. I asked about rest rooms and was advised to use the ones located at the nearby restaurant. Having spent some time using South American restrooms it was a bit shocking to see this level of luxury. They even had a pile of linen towels to use after you wash your hands. 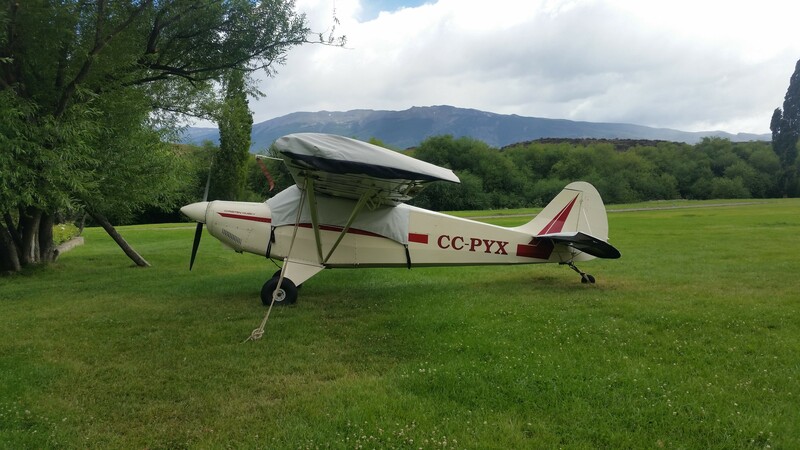 A small aircraft on a grass landing strip in the park near the park headquarters. I again head west toward the Carretera Austral finally arriving 4 days after departing Ushuaia. I am 17 km north of Cochrane. 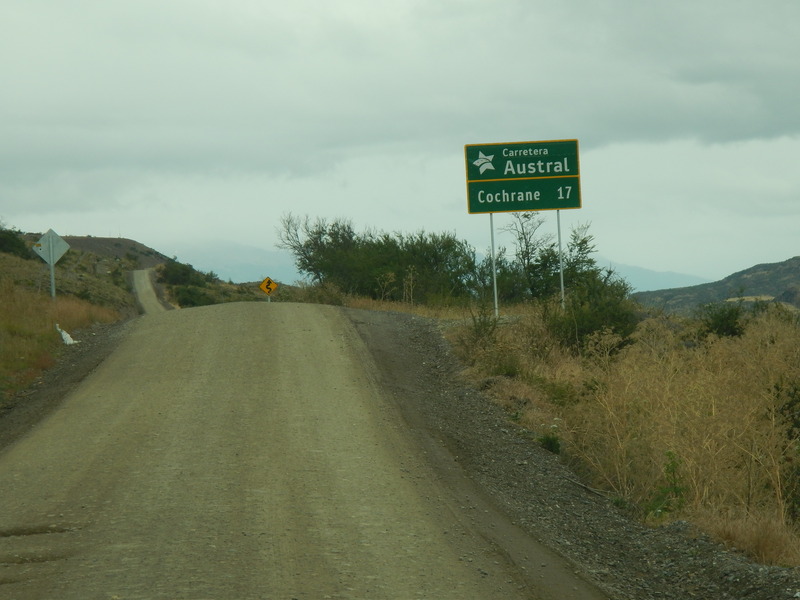 I arrive at Chilean Route 7 also known as the carretera austral or southern road just north of Cochrane. I turn south toward Villa O’higgins, the last town at the south end of Chile’s southern road and about 250 km from here. 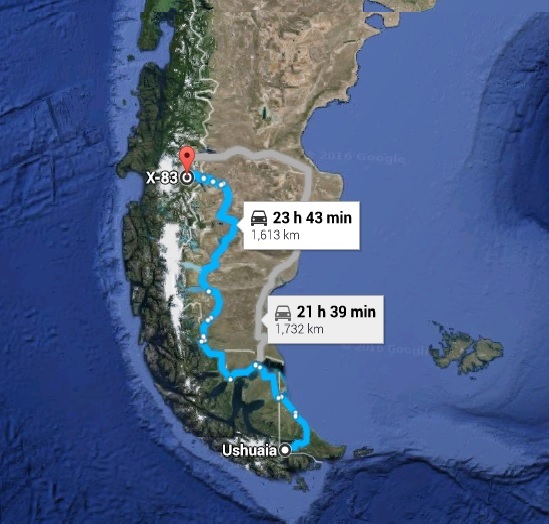 I plan to drive the entire 1247 km from the south end at Lake O’Higgins to Puerto Montt at the north end. 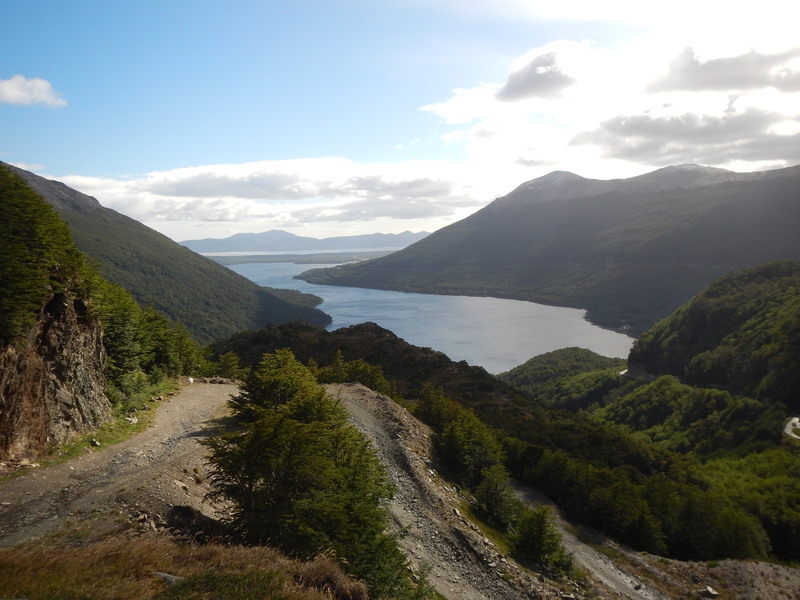 The view from where the road over Paso Roballo intersects the carretera austral.